Our outstanding veterinarians can’t do it alone! That’s why our animal clinic employs a wide-range of veterinary experts, from technicians to veterinary assistants and more. Our animal clinic and our entire staff has been proudly serving communities from Grafton WI, Belgium WI, Cedarburg WI, Saukville WI, Port Washington WI, Jackson WI, Germantown WI, Mequon WI, Thiensville WI, West Bend WI, Fredonia WI, Milwaukee WI and beyond for years! Read on to learn more about our wonderful staff below! Andi joined Best Friends in November of 2013 as a part time client relations specialist. Andi spent six years as a veterinary assistant in Illinois before deciding to be a stay at home mom to her three children. Recently relocating to the area and with her kids all being in school full time, Andi decided it was the perfect time to get back into the field and work with animals again. In what little spare time Andi has she loves spending time with her family playing games, exploring the new area, or just relaxing. Andi has one dog, a Boxer named Chewy. Cindy is a Certified Veterinary Technician, who has worked in the veterinary field for over 25 years. Her professional interests include inventory management, nutrition, nursing care, surgery, physical therapy and canine rehabilitation. She also has experience in wildlife rehabilitation. In her time off, she enjoys biking, hiking and doing agility with her Australian Shepherd, Macy and spending time with her 2 cats, Squeak and Rascal. Jen is a part-time pet care attendant/assistant. She holds a bachelors degree in Biology and is very interested in behavior. Jen attends many obedience and agility classes with her Doberman, Emmett and German Shepherd, Lena. She also spends time relaxing with her cats Lucifer, Pebbles and Meatball. Kathy has been the Office Manager at Best Friends Veterinary Center since 2006 and a member of the Best Friend’s team since September 2003. She has worked in the veterinary field for over 30 years and previously worked at Wauwatosa Veterinary Clinic and Shorewood Animal Hospital. Kathy enjoys spending time with her family & friends. She has been “blessed” with 2 grandbabies, Easton and Kamden, who are the joys of her life. In her spare time, Kathy enjoys babysitting for them, traveling, gardening, reading & spending time at the cottage with the whole family. Megan has been with BFVC since April of 2003. She has 2 cats, Mow Mow and Miss Puss, that live with her mother now due to her husband's allergies. She also has a beagle named Barley and a mixed breed dog named Shandy. Both were adopted from a shelter in Illinois. Megan moved to Illinois in late 2012 but continues to work for BFVC. She works mostly from home but you will occasionally see her in the clinic, too. Pamela has worked for Best Friends Veterinary Center since 1999. She works part time at Best Friends and also has a pet sitting business. Pamela is our house call technician, so if your pet needs a blood pressure reading at home where he is less stressed or we are doing a wellness visit for a houseful of pets you will probably see her. 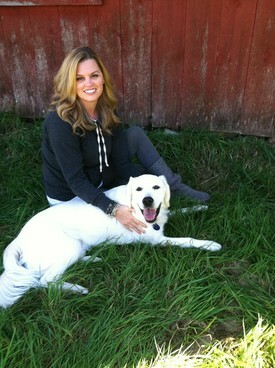 Her professional interests include feline and canine behavior, nutrition, canine rehabilitation, and community outreach. Pamela and her husband, Andy, participate in agility, tracking, and therapy work with their dogs, Nakita (Husky/Malamute/Elkhound), Fintan (Siberian Husky), and Cedar (Siberian Husky/Dalmatian mix). Pamela also has two cats, Cian and Sweet Martha. All three of her dogs and Cian are blood donors. Ryanne is a part-time assistant who has worked at BFVC since 2003. She has worked in the veterinary field since 1994. Ryanne spends the other half of her time working at the Milwaukee County Zoo teaching education programs to school children. In her spare time she enjoys playing softball, gardening, hanging out with her husband and, chasing her toddler twin boys and their younger brother around. She has two cats, Figaro and Rocky, and a dog named Reba (German Shepherd/Australian Shepherd/Border Collie mix). Victoria, who also goes by Tori, joined the Best Friends team in May of '07 after completing her externship with us. She graduated from the Vet Tech Institute in Pittsburgh, PA and moved to Wisconsin to be closer to her family. Tori enjoys working with rehab patients, educating clients and being in-patient technician helping with surgery and dentistry. In her spare time, Victoria enjoys sewing, shopping, pet sitting and spending time with her family, friends and Dixie (Miniature Schnauzer), as well as her two cats, Lily and Marly. Allie is one of the of the newest members of the Best Friends team. She has been working in the Veterinary profession for over 4 years now and has learned so much from Veterinarians over those years. She attended college at the University of Wisconsin Washington County for two years and has decided to continue her education focusing on animals. 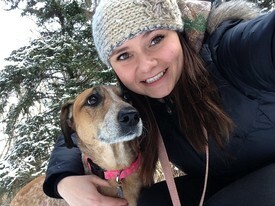 She is currently studying Veterinary Medicine at Globe University's veterinary technician program. In her spare time she enjoys being in the outdoors, spending time with family, and hiking the trails with her two dogs Whiskey and Bailey. Allie is very excited to learn and grow with the Best Friends team! Katie has worked in the veterinary field for the last 15 years as both a client relations specialist and a veterinary assistant. She got her start in veterinary medicine at our old building, working as an assistant for three years, and then worked at another practice until returning to Best Friends. Katie has 2 sons and a beloved, super-genius golden retriever, Reagan. They share their home with Bird, the cockatiel and 3 cats, Merlyn, Finn and Callie. In her free time, Katie enjoys camping, hiking and being with friends and family. Jordan joined the Best Friends Veterinary team in June 2014. She moved to Wisconsin all the way from the high desert of Southern California. She has been in the veterinary field since 2006, when she was a senior in high school. When she isn’t busy working full time or studying to become an RN, she really loves spending time with her family. 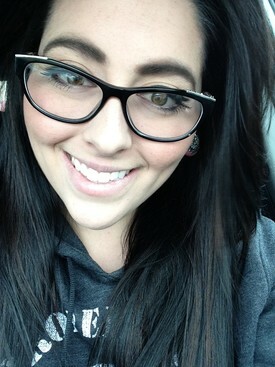 She also enjoys scary movies, baking cupcakes and cuddling with her two furry children, Monroe and Razzle. Jordan is always upbeat and driving her coworkers bonkers due to her unhealthy obsession with Red Bull and Skittles.